I started searching and found almost no information, save that the original prize of $5000 was increased to $7500 in 1982. No talk of a winner or of whether the prize was ever awarded or even if the physical stone was found. (In the manual) I found two names: Steve Rasnic Tem who wrote the lore, and Ray Sutton, the attorney in charge of verifying the winner. I wrote to both of them and both promptly responded. Tem had little information, save that the company went bankrupt about a year after releasing the game. Sutton provided a bit more. He said he hadn't thought of the game in 30 years and that as far as he knew, the prize was never awarded. The company's assets were sold to another company and that the author of the game, a man named Gene Carr, had heard that the puzzle was close to being solved. He suspected that the president of the company that bought the assets was behind it. Regardless, Sutton never awarded the prize and there is no record of anyone finding the stone or being awarded the money. The cash prize is a thing of the past. Good luck getting someone to pony up $7500 from a bankrupt software firm from the early 80s. However, the bauble may still be out there somewhere. 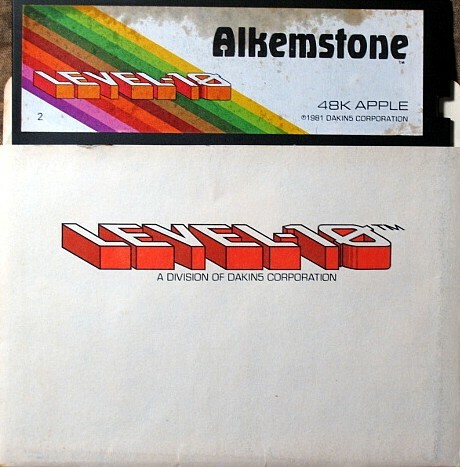 Wouldn't it be interesting if someone got busy on an old copy of this game and found the stone?